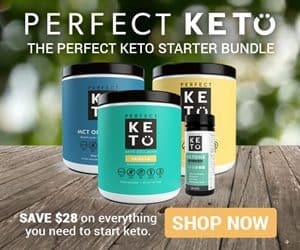 Is it possible to stay committed to a keto plan during an unforseen emergency? Having a low carb keto emergency food prep in place can make all the difference how you weather a storm. For this reason we decided to share our best tips to assist you. As a South Floridian every year we understand the need to prepare for the upcoming hurricane season. But even if you don’t live in area that can experience the devastating effects of a hurricane, everyone should still understand the need to prep for a an emergency. 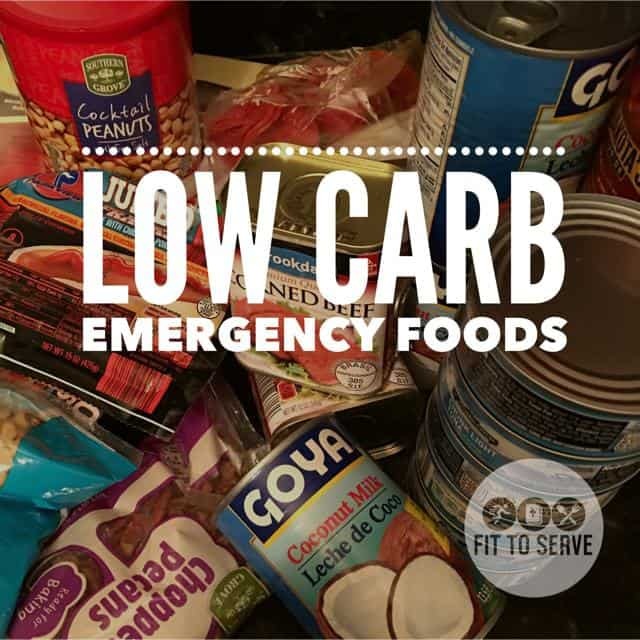 This is especially vital if you are on a low carb keto diet, which is why I prepared this low carb emergency food prep. It’s easy to become complacent and minimize the dangers of a natural disaster. However, a natural disaster should not be taken lightly. Just think about what New Orleans experienced with hurricane Katrina back in 2005 and how it took years to rebuild. 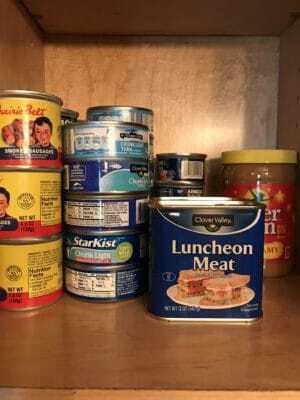 This necessitates a low carb emergency food prep for those who do a ketogenic diet. UPDATE: Hurricane Harvey made landfall in Huston, Texas on August 25, 2017 and caused major destruction. Hurricane Harvey- hit Texas as a Category 4 hurricane, but brought the worst flooding to Houston and other areas as a tropical storm. The rain totaled nearly 52 inches in some areas. On September 20, 2017 Hurricane Maria — made a direct land fall on Puerto Rico, as powerful Category 4 hurricane with 150 mph winds. Hurricane Maria affected 3.4 million people. Leaving entire towns without water to drink or bathe in and with food staples difficult to come by. You may not necessarily live in an area where hurricanes are a threat but can you agree that any disaster whether natural or manmade can disrupt your world. With that being said, being prepared is the responsible thing to do. Which is why having a keto emergency food prep plan makes sense as you do set up your emergency plans. The aftermath of a hurricane or other natural disaster can leave many people scrambling for basic supplies. Which is why a minimum three-day food and water supply is important. The protocol in our home is to pray, prepare, and pray some more. Of course we also have a low carb emergency food prep put in place since we can’t afford to be without a plan. Even if you do not encounter a direct hit from a natural disaster, people can still experience power outages, flooding, and extreme weather conditions that can cause potential havoc. This makes having a low carb emergency food prep plan not a luxury but a necessity. With that being said, what is someone on a low-carb keto diet supposed to eat during an emergency? That may sound strange, since most would argue we should just eat what’s available. Unfortunately, it’s not quite that simple. For some of us it’s not a diet but a lifestyle and this means if we get off track our bodies will react quite unhappily. This is especially the case for people who do this lifestyle for health reasons. The need to plan appropriately isn’t a thing of vanity but truly a requirement. Randy and I have been eating a low carb keto diet since January 2014, which means we are fat-adapted. Our body prefers to use fat for fuel instead of glucose, sugar. A drastic change in our diet could cause us major headaches, nausea and even diarrhea. Dealing with these symptoms is not exactly ideal while handling the stress of storm. Or the clean up after an emergency. There are some definite advantages to staying on track even during a time of emergency. While in a state ketosis you won’t experience a lot of hunger, your energy levels don’t dip and you are much more focused. I think you can see why it only makes sense to continue your low carb keto diet even if a crisis occurs. I found the following article by Very Well as a great resource for emergency food prep for those of us on a low carb diet. Please note that some of the foods listed in this article are higher in carbs and are not what we normally advocate on a low carb diet. This just means that although you may have to stray a little away from your typical low carb keto diet, you don’t have to completely abandon your lifestyle. Lastly, as a Christian we face any and all emergencies trusting God. Although we understand the need to prepare we refuse to panic. Instead we remain resolute to the promises of God. While we may confront challenges in this life we choose to keep our eyes on the one that speaks to the storms of life. A passage of scripture that we love to pray on a regular basis is Psalm 91. We encourage you to plan ahead, be prepared, and pray. Awesome to here Cheryl. Stay safe my friend. ? Thank U and you all also!!! Thank you my friend! ?? I hope all is well with you. I know my friends in Orlando are preparing heavily. My family and I are in Indiana until Monday so we'll miss all the "fun"
Hi Ana, thanks for the well wishes. It's still fairly calm around here in Miami. Our daughter and her husband live in Orlando and it's tough being away from them during a storm. Keep us in your prayers. ?